START DATE & TIME: Tuesday, April 9, 2019 2:00pm PST (check your timezone). If 7 days from class start time has passed, you can find the next available class here. We start our work standing and we end our work standing. What happens on the mat in between is the magic that allows standing at the end to be more invigorating and for many of us possible! This week, let’s find the magic of the transitions and nuances of the exercises to help us go from the mat to standing on our two feet with strength and control! Your mat is just like a piece of equipment. It gives you feedback to what’s touching, not touching and supports your movements. So, what are you waiting for? Let’s get connected! Spring has sprung and we can use the Theraband to feel like we’ve added springs to our Pilates mat work! If you don’t have a thera-band do not worry. You’ll still get a great workout. We will be exploring some of the Reformer exercises on our Mat and also what some Mat exercises would feel like with a little extra resistance. Opening your front without closing your back! This week’s class is a special request from one of YOU! While I don’t work hours in front of my computer I too am on my devices or working hours rounded forwarded working with a client. In today’s day, it’s more common that we are rounding forward than sitting or standing tall. But, how do you open your chest without crunching your shoulders blades onto your back and causing your shoulders to rise into your ears? This week’s class is going to take a tour through our regular mat order but with an open front and a wide back! 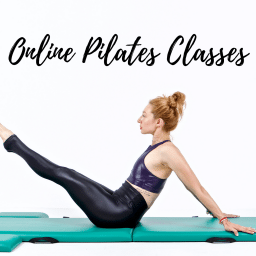 12/26 Online Pilates Mat Class: Shoulder It No More! It’s so easy to use your upper shoulders to do everything! To skip connecting to your shoulder girdle and just make an exercise look right. When you are on the mat, it is so easy to let your shoulders lift your arms and upper body even though the exercise may be designed for your back. In this week’s class we are removing permission from your shoulders so you can work from a stronger source! In my personal Pilates practice, I’ve been noticing that while I can connect to my second seat quite well. I have been leaving my lower core hanging out! It’s so funny how our bodies like to “forget” something we already worked on ages ago. But, needless to say, I’ve been cheating a bit. So, this past week I have been focusing on containing myself (which is quite opposite for how I like to live my life). 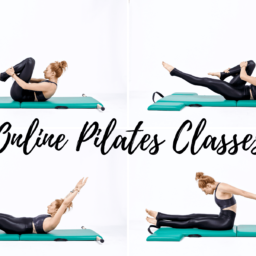 In this week’s Pilates mat class we will focus on containing our core and what that means especially for when we are facing gravity. Are you ready for your 30 min core containment? Register here for this week’s class. The other day my client noticed it was amazing how she could keep her heels together. It’s a problem we’ve been focusing on for 4 years. She said, “Who knew it wasn’t a problem with my heels?” I laughed! Of course I knew, it’s why we’d been focusing on here seat and inner thighs. This week, let’s focus on how we can keep it all together by focusing less on what’s touching and more on how we make that happen. It’s a common cue in any Pilates class and exercise for a teacher to ask you to “find your length” or, reach in two directions. But, you are also supposed to keep everything connected at the same time. 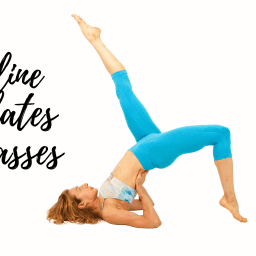 In this week’s mat pilates class we will explore finding the length in our bodies but without letting it all hang out! Can’t wait to hear how this feels for you! 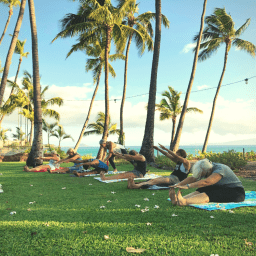 Arlene here, and this is my studio Bodywork & Pilates right on the beach in Maui, Hawaii. We’re about to have a really nice mat class because I’m going to demonstrate the traditional pushes and pulls that I learned from Jay Grimes. Everybody’s going to get a nice hands-on stretch as they do their exercises. So get ready! What if we can combine our workouts and our grounding? 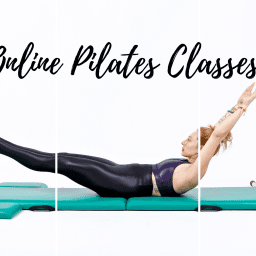 This week we will focus on how the mat or floor below us actually is our partner in Pilates crime! Are you ready to hit your mat and finish feeling more connected to you and your mind? Me too! While Tree is often an unsung hero of the Reformer it’s rarely done on the Mat. But, when it is its effects are amazing!!! Don’t worry, if you have no idea what the Tree is we will go over it at the beginning and enjoy its effects for the rest of class! Are you ready to fall in love with the Tree? Ok, truth is that hip circles are just plain hard! And, even when you are strong enough they are hard. I’m not sure the day will come for me or for you where we go “Yeah!!! Hip Circles!” But, I do believe that we can “get” them. So, in this week’s class it’s time to take some time thinking about where the circles come from and why we do them! I don’t know about you but sometimes my lower abs just feel like they are on vacation. My legs LOVE to do ALL the WORK. This week’s class we are getting low! Every exercise we examine how we can get a little more work from the lower abs. And, while we do it get ready to feel those hamstrings and seat work. Short Box on the mat. Yay. Loved it. Super glad that my raised mats have foot straps as not sure I could have done this without! Also, loved the cue you used when articulating down in bridge; “heart, waist, lower back”. :-). YES! Video it! ANd yay for taking your clients to the next level! thats soo cool! Hi Lesley … Thanks a lot for this awesome class … I really enjoyed it … I am getting some inspirations for my mat class on the retreat ! !